If you are someone who visits the dentist as often as you should, it’s not unlikely that you have had to have a dental x-ray at one time or another. While it certainly is not something that many people question, you may also not have any idea what the purpose or the procedure is all about. Whether you are concerned about how safe these x-rays are, or whether they are useful to your dentist at all, we have all the answers about dental x-rays that you are looking to find. Continue reading below to get the information you are seeking. In order to get a better idea of what is happening below the surface of your gums, dentists rely on x-rays. These 2D images are able to highlight the anatomy of your teeth and bones so that dentists can determine if there are any issues with your oral health that they may not know about. There are two different kinds of dental x-rays that are used in dental offices: film and digital. For the most part, digital has replaced film, as the technology used to make digital x-rays uses about 80 percent less radiation than film x-rays do. Digital x-rays are also preferred because they require a lot shorter process and are easier to archive than film x-rays. Your dentist may choose to have an intraoral x-ray or an extraoral. From the name, you can probably tell that intraoral x-rays are taken from the inside of the mouth and extraoral are taken from the outside of the mouth. Depending on what your dentist needs to see inside of your mouth, the appropriate type of x-ray will be used. How often should you get a dental x-ray? Your dentist will do everything they can to ensure that you only have x-rays when they are absolutely needed. There is no reason to expose patients to this process and radiation unless there is no other way of finding out what it happening in your mouth. If you take good care of your teeth and see your dentist often, it is likely that you will only need a dental x-ray once every two to three years. On the other hand, if you don’t see your dentist as often or you have many problems with your teeth, x-rays may be necessary more often. What if you don’t get x-rays? If you do not have dental x-rays often, you may find that your smile is in a lot of trouble. These x-rays help dentists to identify hidden tooth decay, as well as plaque and tartar buildup and root rot. Without x-rays your mouth could be experiencing a slew of issues that you weren’t aware were there until they are serious and require surgery. When a dentist uses a digital x-ray machine, there is very little amount of radiation that is emitted. In fact, it is less radiation than a person would be exposed to when they are on a short plane ride. This means there is no reason to worry when your dentist tells you that you need to have a dental x-ray completed during your regular visit to the dental office. If you haven’t had a dental x-ray completed in a while, it may be time to see your dentist and request one. You need to make sure that your teeth and gums are in good shape if you want to keep that million dollar smile. 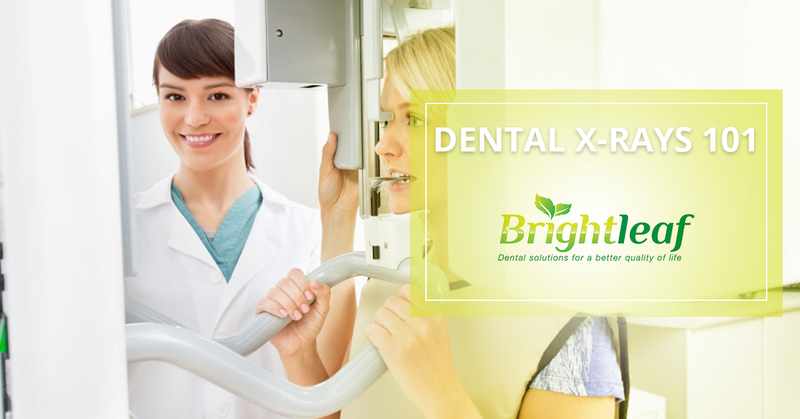 Contact Brightleaf Dental today to learn more about our dental services and whether or not it’s time for your next dental x-ray.